To parents, giving away their children's baby teeth can be a big deal! But many parents of children with PWS have gladly answered Dr. Lawrence Reiter's call for baby teeth in the name of researching differential gene expression, as it could lead to successful PWS therapeutics. Over the past year, Dr. Reiter has been collecting the teeth in order to extract stem cells found in the pulp and transform them into PWS brain cells. FPWR is thrilled to have Dr. Lawrence Reiter presenting at the FPWR Research Conference: Action Changes Tomorrow, October 28-30, 2016. After generating the brain cells, Dr Reiter and his group are comparing PWS and non-PWS cells to identify the differences in which genes are expressed. The outcome of this research could potentially identify therapeutic targets for Prader-Willi syndrome. This October, Dr. Reiter will give us an update on his project and provide his insight into how PWS fits with other 15q syndromes and autism. 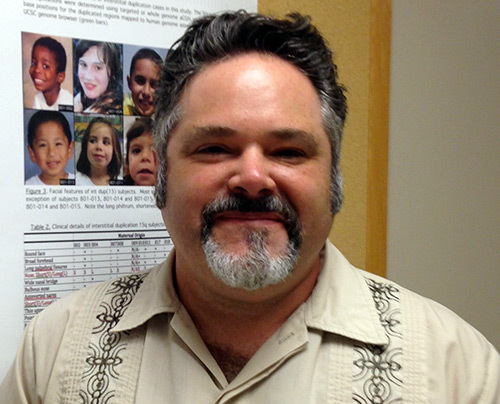 Dr. Reiter, recently highlighted on our Researcher Spotlight, is an Associate Professor at the University of Tennessee Health Science Center (UTHSC), and the Director of the 15q Duplication Autism Clinic at Le Bonheur Children’s Hospital. He runs a lab that focuses on the molecular basis of genetic disorders of the 15th chromosome. We look forward to meeting Dr. Reiter this October in Providence, RI, and hope you will join us as well! Can PWS Interventions be Delivered by Telehealth? For a complete lineup of presenters as they are confirmed, visit our conference page.